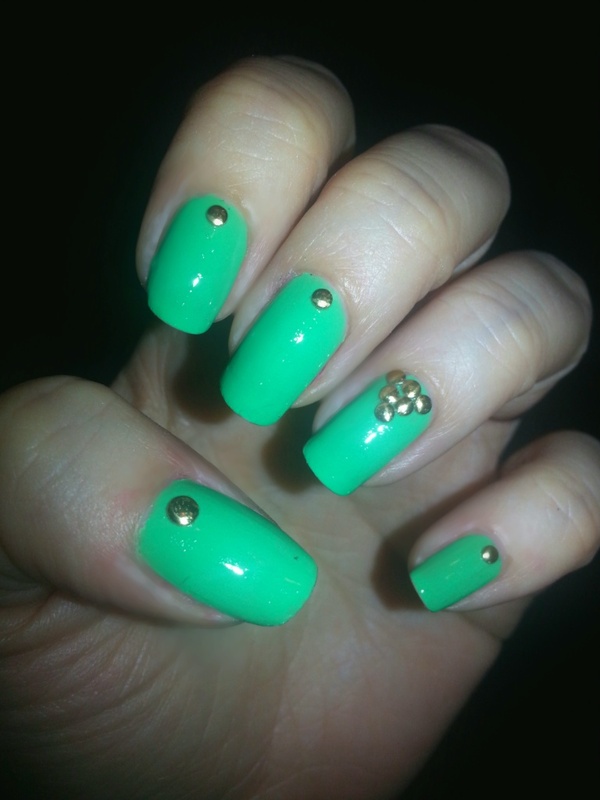 I absolutely love this green colour by China Glaze but I am even more excited about these super cool nail studs. I’ve finally received my goodies from BornPretty Store and I am pretty much doing my nails 5 times a day! I’ll do a separate post on everything I’ve got but I love these studs. Normally, these kind of nail decorations get stuck in my hair and end up flying off, but these ones have been holding on quite well! I’ve got the ones that come in 3 different sizes, in gold and silver! Love it! Can’t wait to show you all I’ve got! pretty pretty love the nail studs!! Great nail color /art !